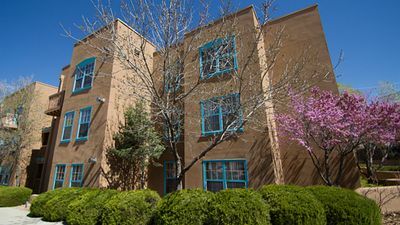 Escape to our modern, light-filled adobe home just steps from the Capitol and a few blocks from Canyon Road. 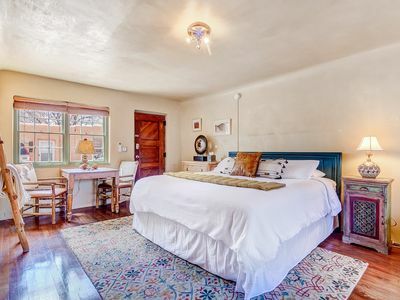 This two bedroom, two bath house has an open floor plan for entertaining and luxurious bedrooms for the perfect nights’ sleep. 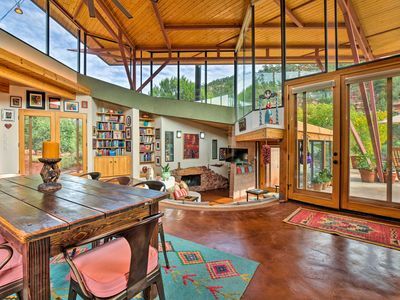 The large living area has soaring 10-foot beamed-ceilings, a kiva fireplace and beautiful white oak hardwood floors. 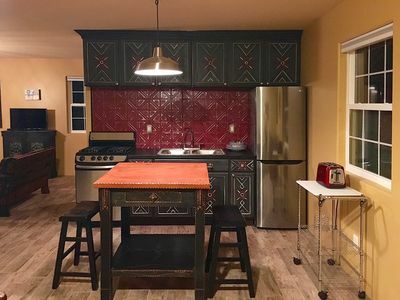 A local market is a five-minute walk and our chef's kitchen is thoughtfully equipped with everything you would need to prepare a wonderful meal. 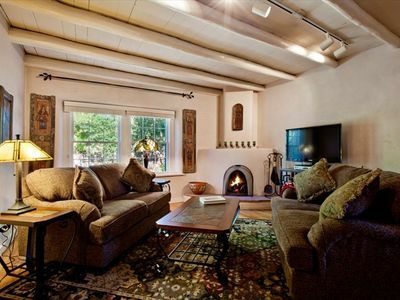 Each bedroom has a generous and luxurious king-sized bed, a kiva fireplace and plenty of closet space. 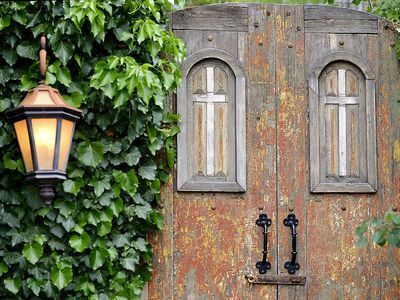 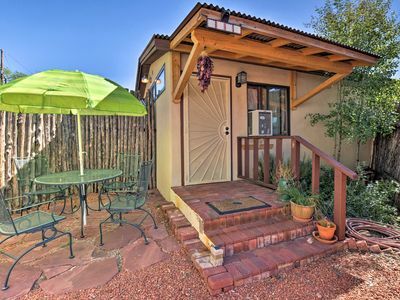 Both have private patios and entrances making it perfect for two couples. 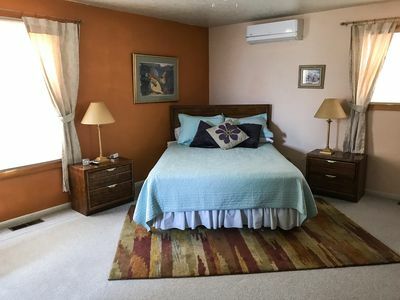 There’s even a sleeper sofa that can provide extra sleeping accommodations, if needed. 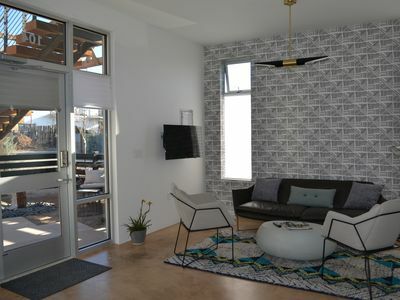 Offering smart TV’s, Wi-Fi, gorgeous bathrooms with walk-in showers and hand-selected toiletries, we’ve gone the extra mile to make sure you enjoy your stay. 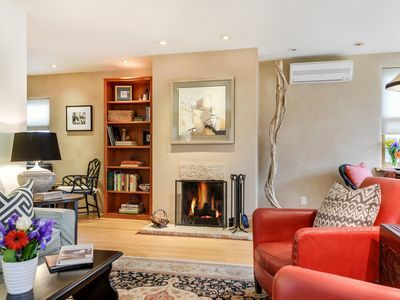 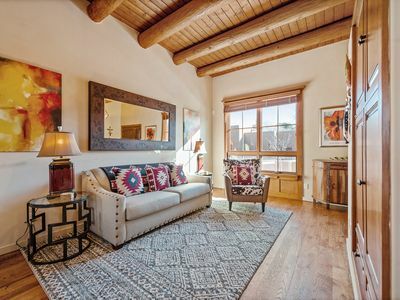 So whether you’re dining al fresco near the bubbling fountain or wrapped up in a cozy throw on the ultra-comfy sofa, this property will make your Santa Fe getaway feel like a lush and comfortable home-away-from-home. 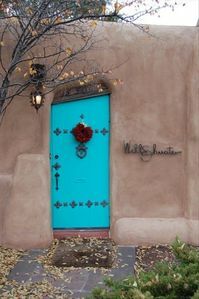 Historic Eastside casita, just blocks from the Santa Fe Plaza! 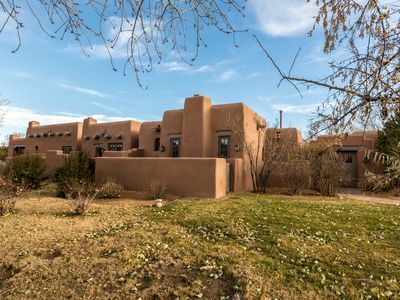 Villa del Norte - beautiful adobe with the mountain views, fireplaces, etc. 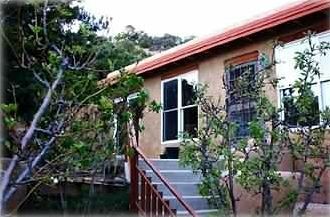 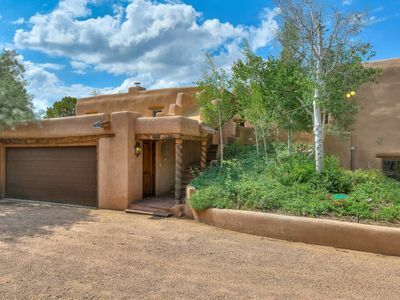 Secluded Santa Fe -- 1 Mile from Plaza! 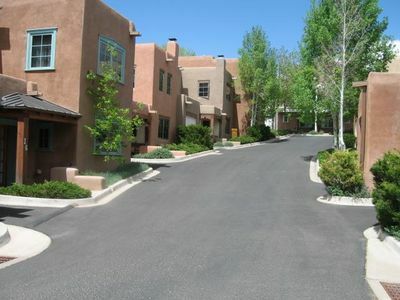 In Town With Both City And Mountain Views! 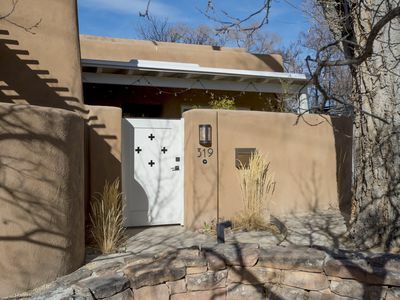 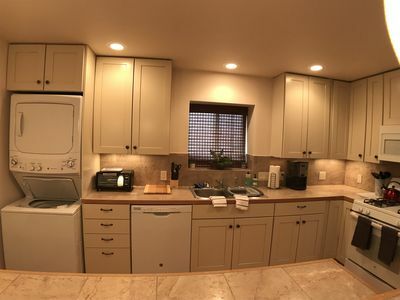 Spacious Home in the Museum Neighborhood, within minutes to Santa Fe Plaza. 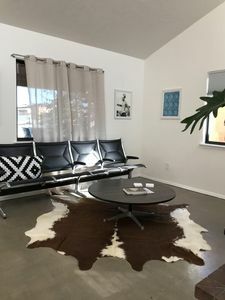 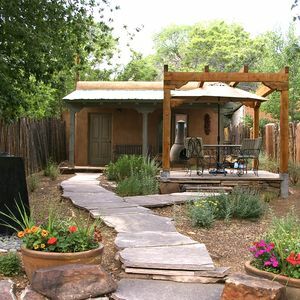 Cozy 'Casa Solar' Studio - Walk to Santa Fe Plaza! 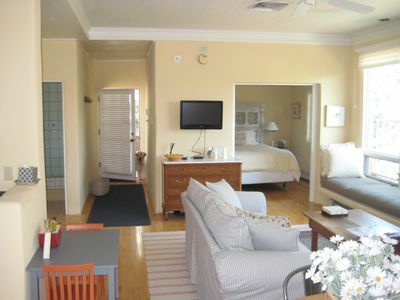 Perfect Suite with Resort Amenities including pool, hot tub, gym, & game room!